An injection molding and value-added assembly service provider serving customers throughout North America, as well as global markets from South America to Central Europe and Asia. 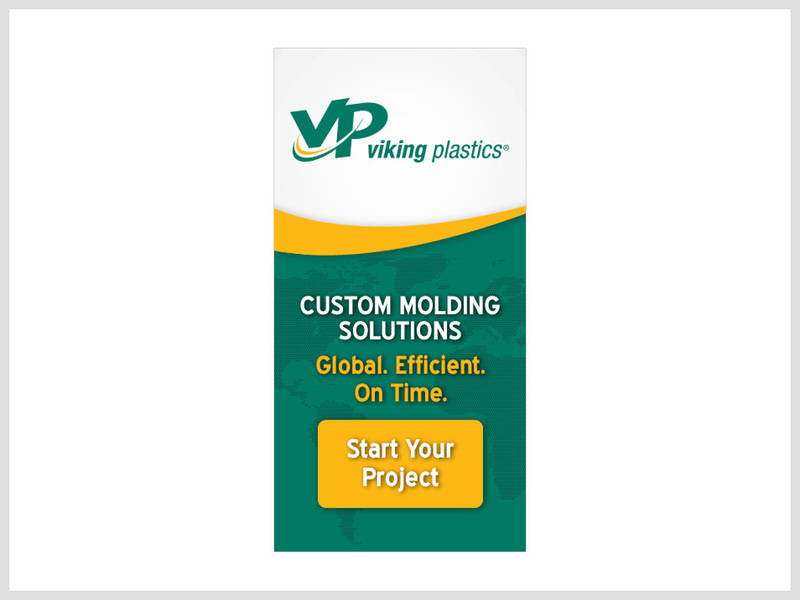 Since its founding in 1972, Viking Plastics has prospered by developing innovative, cost-saving solutions for tough engineering challenges and providing a high level of expertise in custom molding capabilities. 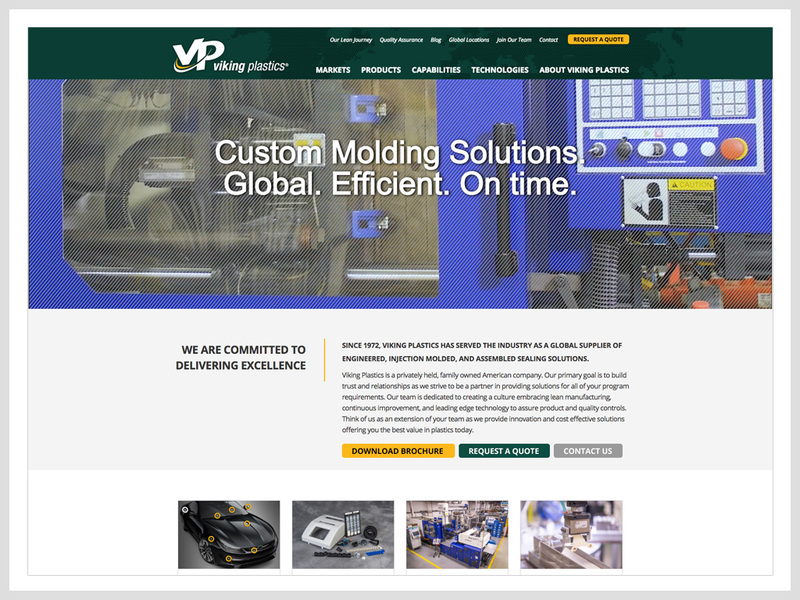 As the company’s global footprint expanded, the leadership team at Viking Plastics recognized the need to grow their online footprint, as well. Manzella was engaged to increase the company’s website traffic and enhance their online presence. Manzella Marketing developed a comprehensive digital marketing plan designed to drive more visitors to the website and engage customers and prospects through inbound marketing tactics. An aggressive Search Engine Marketing (SEM) campaign that delivers text ads to potential customers searching for relevant services online. A retargeting campaign that serves display ads to website visitors. A series of short videos that highlights the company’s commitment to empowering all employees to improve Viking Plastics and streamline operations through the 2 Second Lean principles. Each video features a Viking Plastics employee explaining how his/her solution to a problem saves the company time and money. An updated and enhanced look for the website home page that draws visitors into the site with an engaging background video. 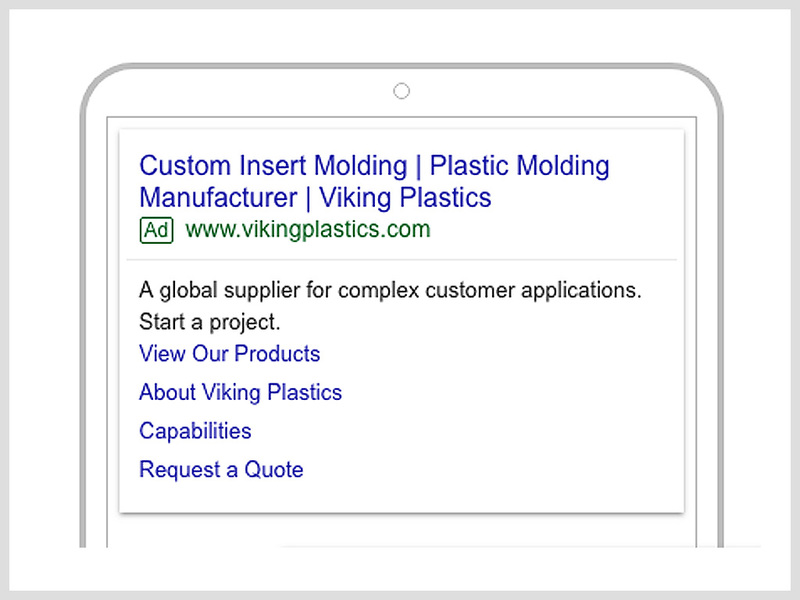 Website traffic has increased bringing new lead sources that Viking Plastics hadn’t previously been able to reach. 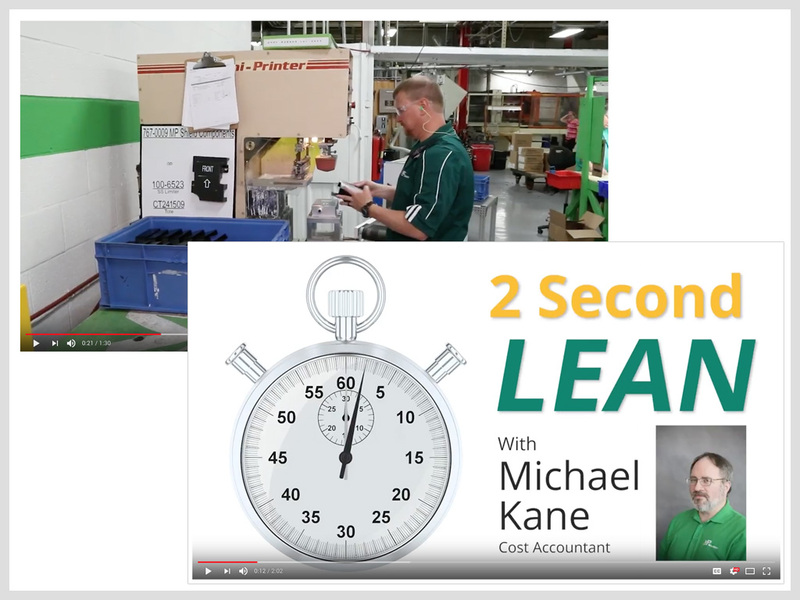 Six 2 Second Lean videos have been created and promoted on the company’s YouTube Channel and social media platforms. Employees have embraced the 2 Second Lean principles and the opportunity to promote their successes in videos. Current and potential customers get a true picture of the commitment to quality at every level of Viking Plastics.